Based in New York City, I am a freelance photographer who specializes in documenting endangered cultures and traditional life ways of Asia, Latin America and Africa. My images, articles and photo features were published in various magazines, and my travel photographs were featured by some of the largest adventure travel companies in the United States and Great Britain, as well as in multinational corporations' art collections. My tribal photographs have been acquired by the Standard Chartered’ Bank's permanent art collection. 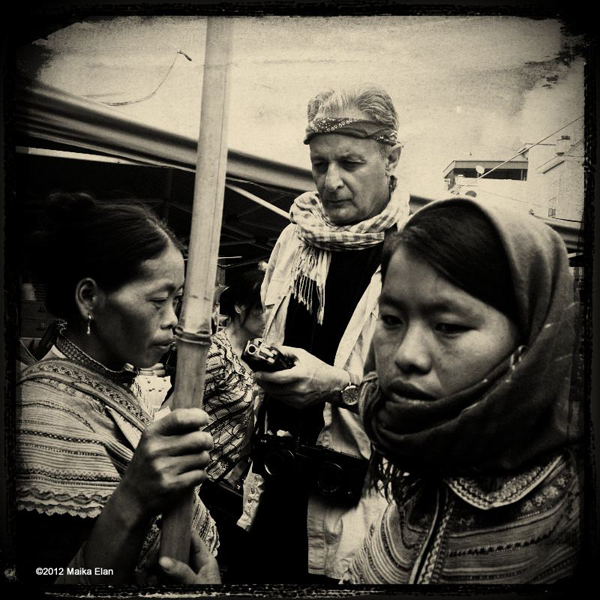 I am passionate about documentary-travel photography and I produce multimedia stories, merging still photography and ambient sound (generally recorded live while I am photographing), and musical soundtracks. I teach street photography and multimedia storytelling at the Foundry Photojournalism Workshop in Mexico City, Manali (India), in Istanbul, in Buenos Aires and Chiang Mai. I was also one of the jurors in the photo documentary project Diversity of Devotion: Celebrating New York's Spiritual Harmony. My particular interest in photographing cultural ceremonies and tribal rituals has resulted in documentary coverage of Holi, the Maha Kumbh Mela & Pushkar Camel Fair of India; the 2,000-year-old performance-ritual of Theyyam in Kerala; Timket (Epiphany) festival in Ethiopia; the Hindu festivals in Bali, the ritualistic dances of the Advisasis of Chhattisgarh, the Tantric-based dances of Bhutan, the incredibly photogenic Theyyam trance dances, and the violent exorcisms practiced in various Sufi shrines of India, as well as rubbing shoulders with the self-mutilating devotees of Kali. In 2012, I've set two photo~expeditions/workshops; the first is to document the intense Kali worshipping The Oracles of Kerala in January-February, and the second one during fall in the North of Vietnam. In summer of 2013, I led a full-strength photo expedition to Srinagar (Kashmir), and subsequently to Ajmer in Rajasthan, to photograph one of Sufi Islam's most intense religious events...the anniversary of the death of its saint Moin'Uddin Chisti. More recently, I just returned from documenting one of the most joyous and chaotic festivals in India; Holi. It follows from the above that if you expect high-quality hotel accommodations all the time and are particular about your food, you would enjoy another type of tour. However, if you are truly enthusiastic about adventurous photography, then you will find my expeditions interesting and rewarding. I do not lead a photo expedition unless I am comfortable that the participants are like-minded, will enjoy each others' company and that group dynamics during the expedition will be ideal. As evidenced by my galleries, my style is a mix of travel photography and documentary photography. Someone called it "a photojournalist photographing travel." The photo-journalism and travel-documentary components of my photo~expeditions largely focus on story-telling...and on tutoring multi-media production. This is the future of photography, and I structure my photo~expeditions accordingly.